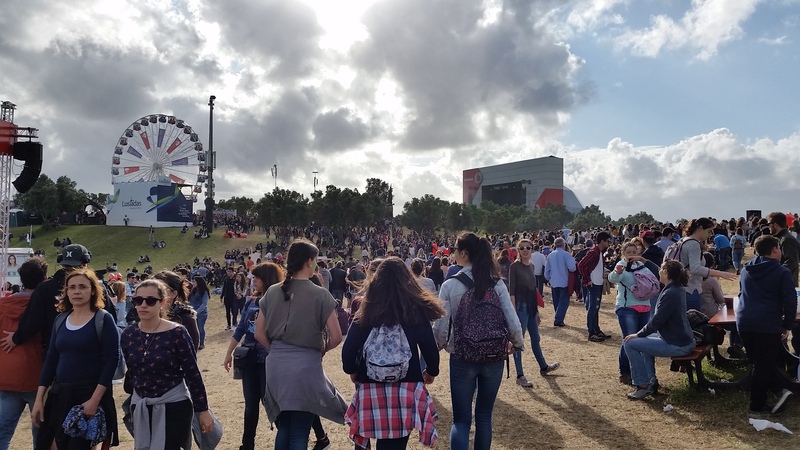 Rock in Rio is one of the largest, most-recognized music festivals in the world, with several global affiliations. 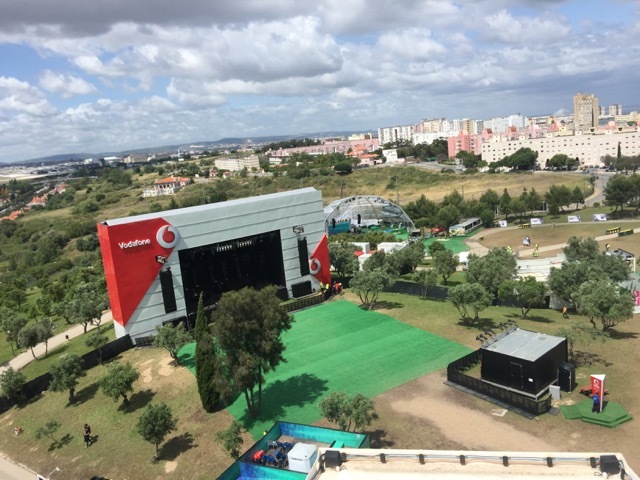 The Lisbon edition held at Parque da Bela Vista featured K-array’s top-of-the-line Firenze system chosen by Brazilian rental powerhouse, Gabisom, to be installed and operated at the festival’s secondary stage sponsored by Vodafone. 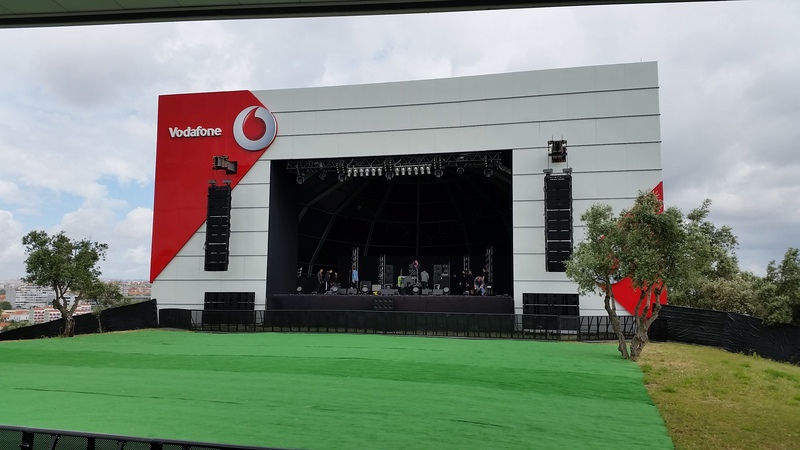 The stage hosted 3 live shows each day for a grueling 14-day period and the system was required to cover 4,500 m2 that was 100 x 45 m wide. 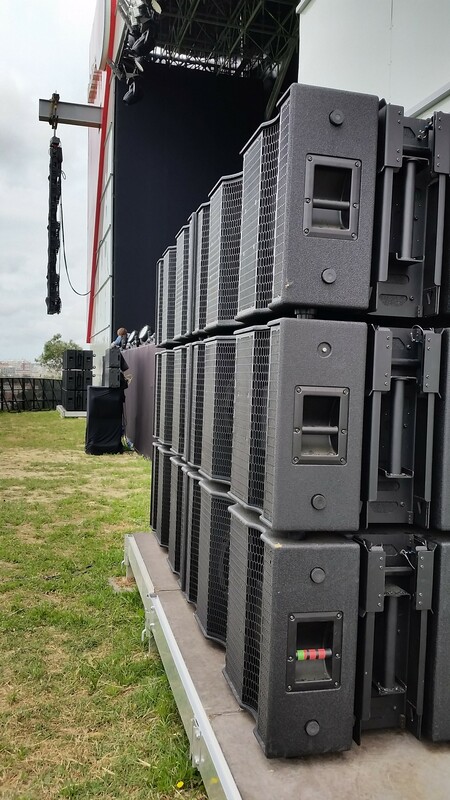 An array of 9 Firenze-KH8 loudspeakers were paired with 6 Firenze-KS8 subwoofers per side and two horizontal Firenze-KH7 loudspeakers used for center fill. 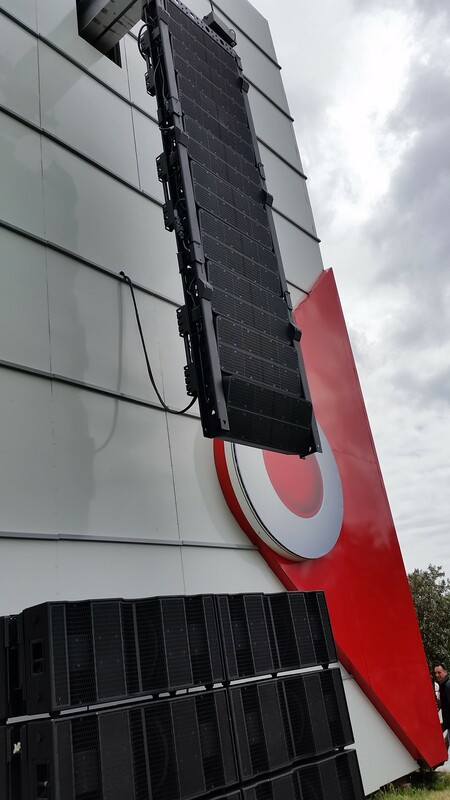 The arrays were hung in a perfectly straight line – a benefit of the digital steering feature – and even coverage was provided throughout the entire audience area carrying all the way to the back and easily achieving 108-110 dB SPL. 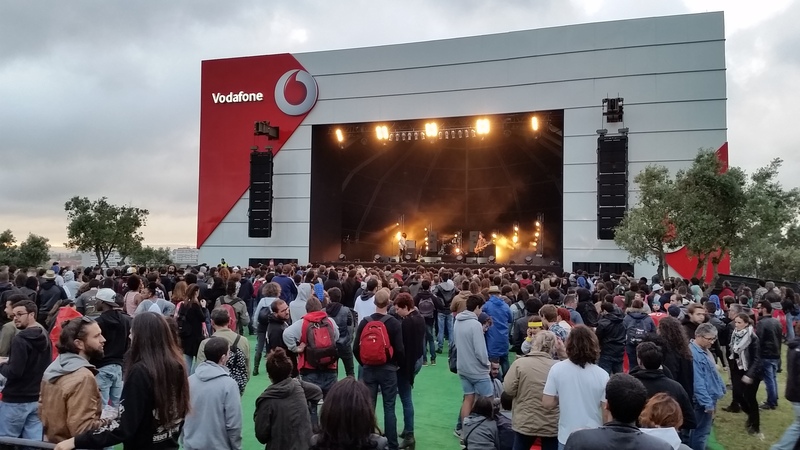 The FOH was positioned at 40 m from the stage on axis with the right side array. 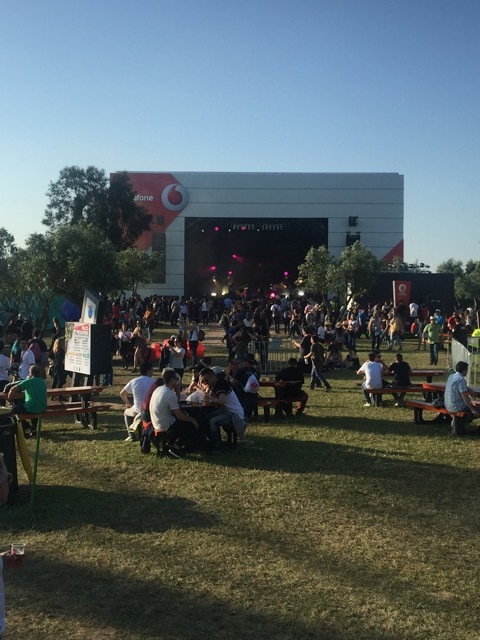 The system’s power, as well as its dynamic range, was demonstrated through an average FOH SPL of 114-116 dB C.
I have been on the Rock in Rio gigs since they began in Lisbon and I’m sure this is the best system I have used. 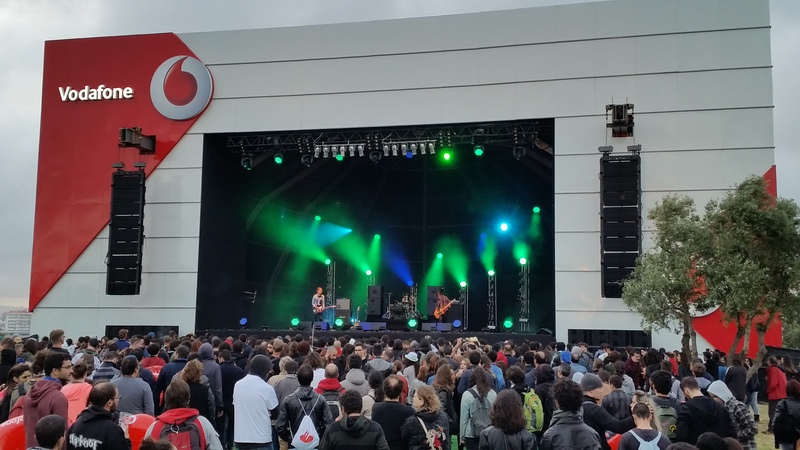 The Firenze system provided impressive clarity and definition from the stage all the way to the back of the venue. I’ve also never seen a system so easy and quick to set up. 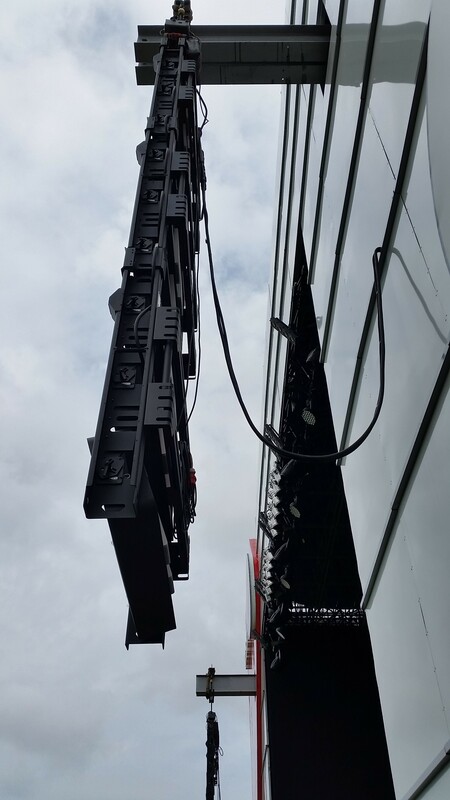 There’s one signal cable and one power cable for up to 12 boxes, so all you have to do is hang two hoists and clip the sets of boxes on three at a time. The speed which you can do this and also aim each box is perfect for a festival job where time is tight.